A meeting chaired by the Mountbatten & Turnchapel Residents Association outlined the proposal and the following is a summary of some of the questions that were raised. The land is contaminated with arsenic, mercury etc., and questions were raised as to whether vegetables and fruit trees if planted would be fit for human consumption? 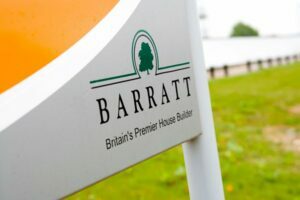 Barratt’s will work with the Councils Contaminated Land Officer and a full report will be commissioned by a third party company. Oddly enough it would appear that Barratt Homes will be choosing the company who produces this report, which seems somewhat self regulating? Barratt’s are not initially planning to remove any contaminated material from the site. more likely they would cap the site. Barratt’s suggest 6ft soil, comments from the floor suggested that more than likely 30ft soil would be required. It was suggested that this could cause problems along the lines of the Poole site in Dorset. There are serious concerns over the increase in traffic and the ‘bottle neck’ effect on the only road in and out of the Hooe/Turnchapel/Mount Batten Peninsular. The road which already struggles to cope with the existing traffic levels is often blocked at peak times. Comments from the floor suggested it was currently ‘a disgrace’, this is before any further traffic increase a new development would bring. A traffic Survey is currently underway which Barratt’s initially suggests 1 car every 25 seconds, however it would appear that the survey was not carried out at peak times and radically differs from data complied by RHALPA a few years ago. There is no capacity at SWW Radford Treatment Works to cope with the new proposal. Barratt’s say they would have to pay to upgrade the system and pumping stations if necessary. This if possible could exacerbate the existing problems of the odour and noise levels that have been an ongoing problem for SWW for the last 7 years or so, so much so that The Environmental Agency have got to a point where they are threatening legal action if they cannot resolve these issues. The closure of the quarries created a natural oasis for wildlife which has emerged over the last 100 years or so, any development will destroy the nesting grounds and habitats of Badgers, Bats, Birds of prey, Butterflies and the Flora such as the rare orchids. These wildlife areas should be protected rather than destroyed to enhance the the area. A Public Consultation on 24th March at The Mount Batten Centre to officially outline the proposals. As to lock gates on the lake, that happens, areas of special scientific interest will be lost under water, namely the fact that Hooe Lake is the largest depository of historic vessels south of the Exe and what of the people who already use the lake in it’s tidal conditions, will they suddenly find it too expensive to moor there, where many have moored for decades, working owner/skippers and their often ugly craft ? Will the new housing development herald the turning of Hooe Lake into a marina for the wealthy, more of the plastic waterfront that is enveloping Plymouth’s shoreline and benefits the few as opposed to the many and added to that; chattering shrouds on aluminium masts is a noise nuisance many yacht owners forget when they park up their boats and go elsewhere. As to a foot bridge connecting Oreston to Hooe, there was one proposed as a continuation of the South West peninsular path, but it was stopped I believe through the fear of possible crime, but when the swing bridge was complete and in operation, it was a foot bridge for many. I wondered about the bats too, especially now as the derelict buildings and tanks have been removed, what happened to the bats, were they relocated, any evidence of this ? But as the proposed development has not yet been finalised, there is work going on in the quarry, it is as if this development is going ahead regardless of everything put up to question it. I believe this is a fantastic step towards improving Plymouth and the surrounding area i just hope the planning dept dont mess this up and use this as a stepping stone to improve the city, surrounding areas and the run down areas of Plymouth. The work to begin clearing the tanks is going to begin next week, will this be the begining of the end for the wildlife? 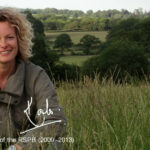 In response to Julie Gott about the relocation of wildlife. Barratt’s proposal with regards to their “commitment to biodiversity” will include the relocation of some of the animals, such as horseshoe bats, and possibly plants found on the site. In most cases, the relocation of protected species to make way for a property development does not have any conservation value. It only means that the individual animals or plants that are relocated are given a chance to survive in another location. The fundamental issue is the destruction of their habitat, the loss of which contributes to further endanger the entire species. Migratory species, that cannot be relocated, and for which their UK habitat is as important as for resident species, are a good example of the absurdity of justifying the destruction of an area by the relocation of sensitive species. Destruction of habitat cannot be justified by the relocation of individual specimens as a valid biodiersity action. Any such justification by a property developer surely must be treated as misinformed or dishonest PR. Part of the land for development is currently owned bt the MOD. There are murmurs that they are planning to move out over the next two years. I dont live in Plymouth anymore but visit a few times a year. Barton Road is that used by the Commando Unit? If so surely MOD would have a say in this situation Security etc? 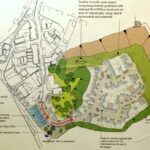 Personally I would raise your concerns using the details on this post Sustainable Neighbourhood Development Plan for Turnchapel, Hooe and Oreston as The Hooe Quarry Development comes under this remit. Others may have a different opinion. We picked up some forms where you can register your thoughts to Barratts but you may be just giving them ammunition to tweak their designs to fit prior to applying for planning permission. Let me know if you want one. I’m not aware of a Barratts website yet. The Road Traffic Survey was taken over peak times during one workday day in January, this apparently is all that is required to satisfy the powers that be! Look out for a petition which I’ll try & add to the website. Can i just check where we need to formally raise our concerns? Although i haven’t been able to attend the meetings due to work commitments, I understood from a previous meeting that we would be able to access the Barratts website and voice concerns there. Particularly regarding the level of traffic. I have lived in this area for over 25 years and think the proposal of 250 houses is far too many, for the volume of traffic, not to mention the loss of wildlife, which I was told tonight at the meeting would be reinstated elsewhere?… but where? Each new house may have more than two cars so an extra 250-750+ cars a day going through the already very busy road. I first came to Turnchapel in 1974, as marrying a into a local family, and I have seen vast amounts of traffic increase, over recent years with developments. I was not notified about the october meeting, however would like to put my views over before any more development takes place, which is the best way to do this? The junction between Barton Road and Hooe Road, does not currently provide sufficent visibilty for traffic emerging from Barton Road. With the increased traffic generated by the new development – this junction will become very dangerous. As part of the works paid for by Barratt Homes, a realigned junction should be provided. The law states, that vehicles emerging from Barton Road, should be able to see cars approaching the junction from a minumum of 90m away. 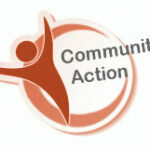 « Turnchapel, Hooe & Oreston neighbourhood development plan – Deadline 30th March!